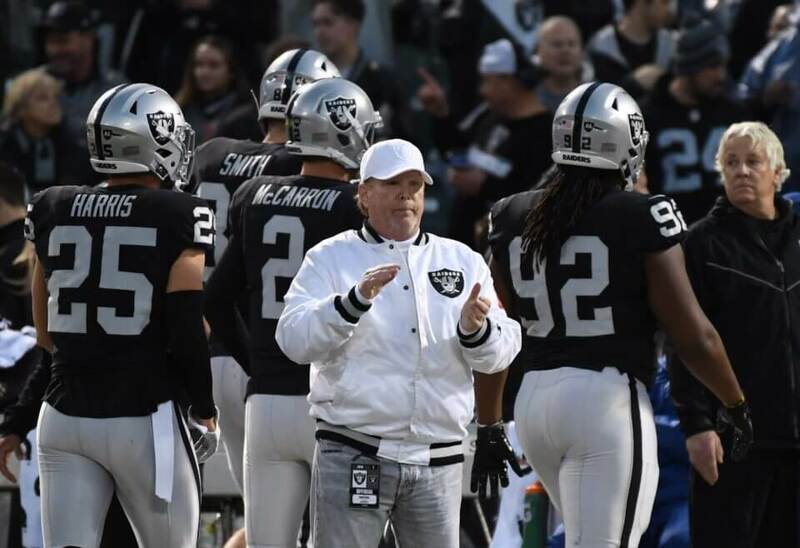 With the offseason in full swing for the Oakland Raiders, there has been plenty of speculation regarding where owner Mark Davis plans on settling for the 2019 NFL season. The City of Oakland has moved forward with their lawsuit against the Raiders and the NFL for their relocation to Las Vegas starting in the 2020 season. As a result, many assumed the Oakland Coliseum would be out of the question moving forward. However, rumors surfaced that Davis has not ruled out the possibility. This indicated that he had been meeting with the board to discuss a solution. “Absolutely false.” – Raiders owner Mark Davis, on report that he is meeting with Oakland Coliseum board on Friday. There is no question that tensions are high between the Raiders and the city. Despite the recent lawsuit, both sides have expressed interest in playing out the final season in Oakland where the franchise had called home for most of their history. Of course, the prospect of Davis working out a deal at this point seemed a bit far-fetched to begin with. He made it clear that if the city pursued legal intervention, he would look elsewhere for a temporary home. Furthermore, rumors had already begun to swirl about the Raiders interest in potentially playing in San Diego before making the move to Las Vegas. It would not be too big of a stretch to imagine the Raiders playing their home games in Southern California since they have established a strong fan base down there anyway. Regardless, it is easy to see why Davis would not want to add any fuel to the fire of these rumors. It will be interesting to see where the Raiders ultimately end up next season.